One of the most unforgettable memories of your trips is generally the food. If you are planning to come to Naples, you are very lucky, because Naples is one of the Italian capitals of street food. Surely you could appreciate the vast amount of tasty and cheap food, offering many options to all palates. You may munch it while walking in the amazing streets of this enjoyable city. You can’t leave the city without trying the “pizza al forno”, a baked whole pizza folded like a wallet, the “montanara”, a round fried pizza dough topped with tomato sauce, basil and parmesan cheese, the “panino napoletano”, Neapolitan bread filled with salame, cheese, boiled eggs, pepper and last but not least “the frittatina”, deep fried pasta balls stuffed with minced pork, bechamel sauce and peas. But Naples is also the home of fried food, sold in the popular friggitorie shops, especially in the historic center where local people and visitors share the wonderful experience of getting pleasure from fried mozzarella cheese, arancini, rice stuffed balls with Bolognese sauce and cheese, zeppoline, fried pizza dough and croquette with mozzarella and potatoes, all wrapped in a paper cone, called “cuppetiello”. If you prefer to eat seafood, don’t worry, there is also the cuppetiello with fried prawns, squids and anchovies. 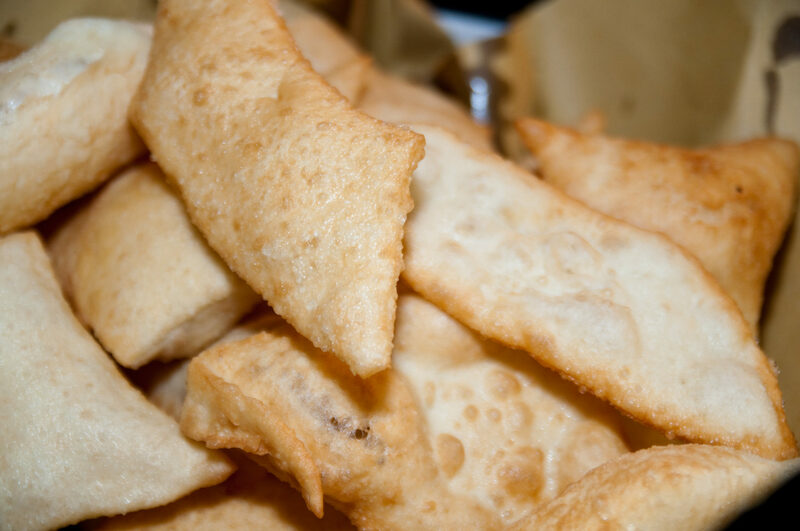 But the king of the Neapolitan food tradition is the “calzone fritto”, fried pizza dough filled with ricotta cheese, ham and black pepper or with tomato sauce and provola, smoked mozzarella cheese, a serious caloric bomb! If you want to conclude your snack with something sweet, don’t forget the “graffe”, a soft, delicious and sugar coated fried doughnut. So don’t hesitate to pamper yourself and don’t miss this exciting food experience once in Naples, because as people say here: “You only live once”!